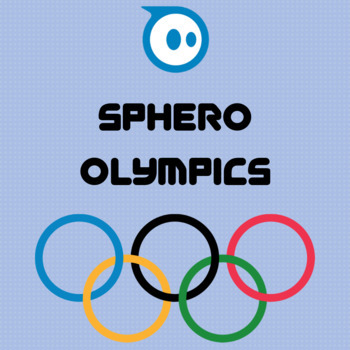 In this product I have outlined 7 different Sphero Olympic events. For each event I have outlined the instructions on how I run the activity with my class, as well as key teaching tips I have noticed in my experience doing this activity. Where appropriate I have also created a diagram for the set up of the activity. The resources needed are all basic materials you should have in your classroom. 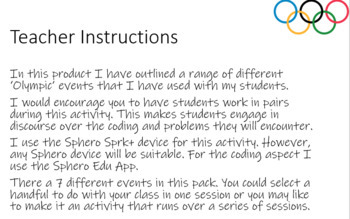 Experience with Spheros and the Sphero Edu App is required for this product. For creative and copyright purposes I cannot explain in detail what these activities are. What I can say is that my students absolutely LOVE ALL of these activities! 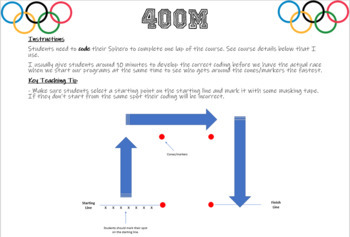 In my preview you can see how I outline the 400m and Obstacle Course events. For the Sphero Golf activity I have created a score card which can be printed and used by your students. This can be seen in my preview.